We are DMC. From our creative office in Cornwall, we design and deliver clever and effective websites, booking systems and digital marketing campaigns. We provide a professional, personable and result-driven approach to our web design and digital marketing services. 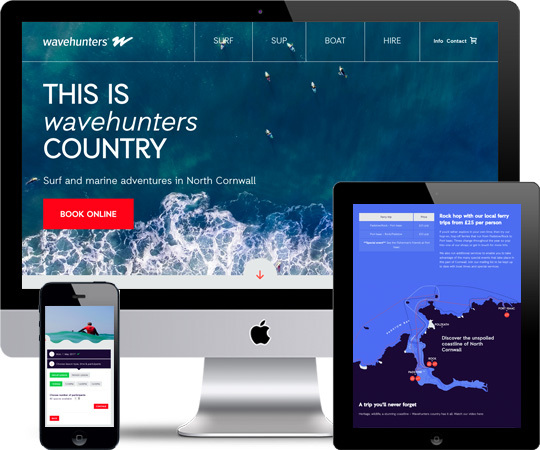 Web Design Cornwall - over the years DMC have worked with many successful companies in the county's vibrant 'sport, leisure and tourism sector' and have developed some compelling case studies. 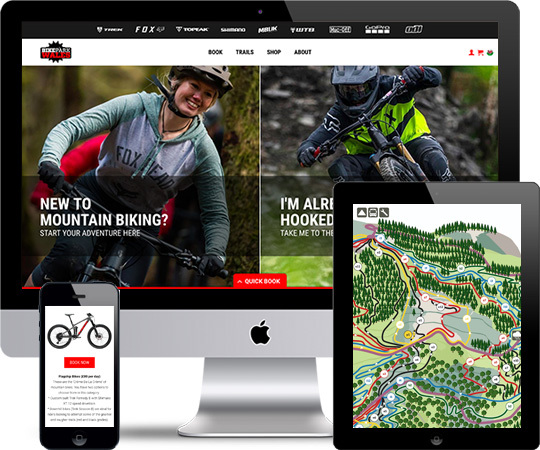 Our highly adaptable and creative team have also designed and launched bespoke e-commerce websites, branding exercises and digital marketing campaigns for companies of all sizes and industries in Cornwall, Bristol, London and across the UK. Our team will provide a creative, digital solution that matches your objectives and marketing budget. The aim is simple and the same regardless of spend – to deliver positive, quantifiable results that exceed your expectations and blow your competition ‘out of the water’. We've designed and delivered compelling websites and bespoke online booking systems for some of the UK's finest companies. It is imperative to us that our design work accurately reflects your company, delivers on objectives, and exceeds all expectations. DMC completely revamped our website, taking it from being tired and outdated, to a crisp modern look with an online booking system which saves us heaps of time and paperwork. Well done guys! We pride ourselves on our personable and efficient project management and ongoing customer support. We offer multiple support options to cater for your website, CMS, e-shop/online booking system, and digital marketing, so you can have complete peace of mind that your site remains online, processing orders/bookings 24/7. We can provide a reliable and secure web hosting service on our modern dedicated server, that unlike many other suppliers is not exhausted by thousands of other resource heavy websites. Furthermore the server is continually backed up and monitored by a dedicated team of engineers so you're in very safe hands.